Feel up to being silly? 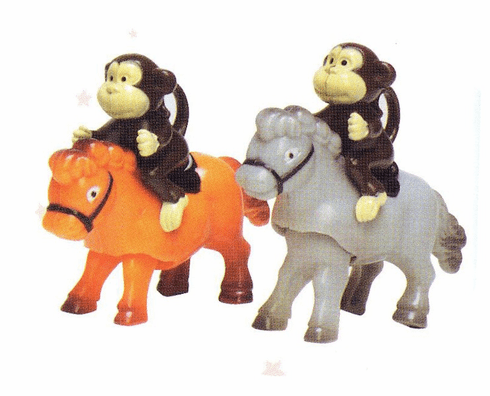 These monkey riders show off their skills on horseback! Just wind them up and watch them go! Assorted colors. Price per item.